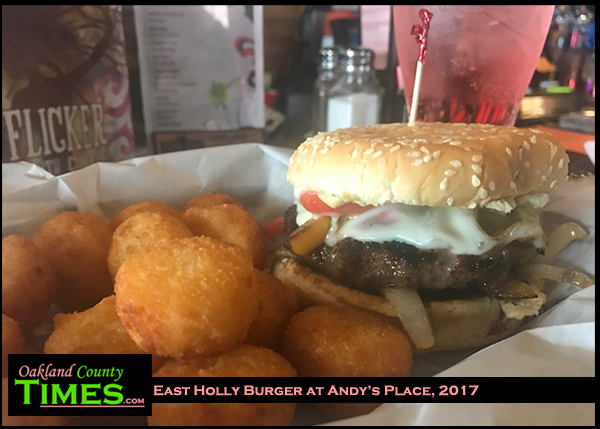 Holly, MI – Andy’s Place in Downtown Holly is known for their creative burgers, and the East Holly Burger is among their best. This one is topped with sauteed peppers, onions and hummus. It’s very tasty. 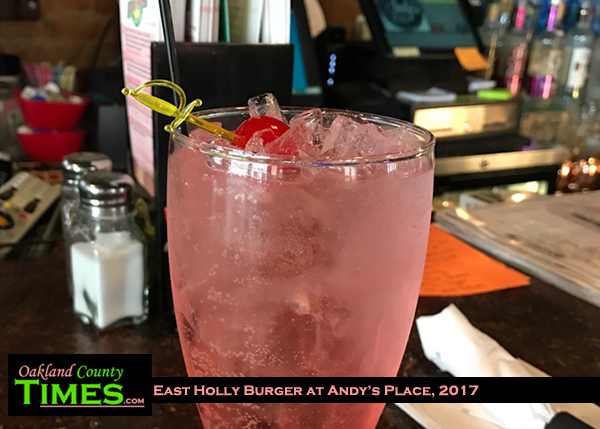 For this visit I also had my first Shirley Temple, which is a non-alcoholic mixed drink made with ginger ale, a splash of grenadine and garnished with a maraschino cherry. 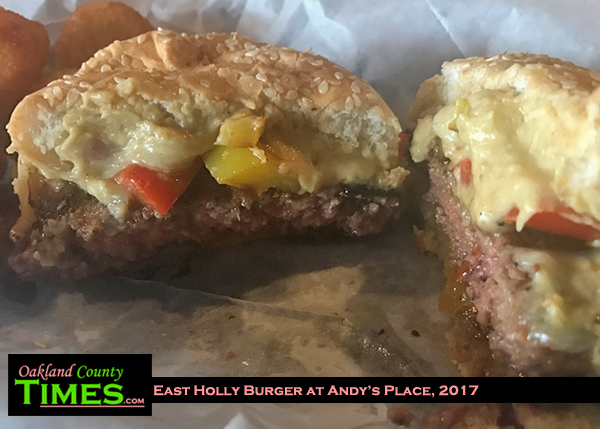 Andy’s Place is a sponsor of Oakland County Times. 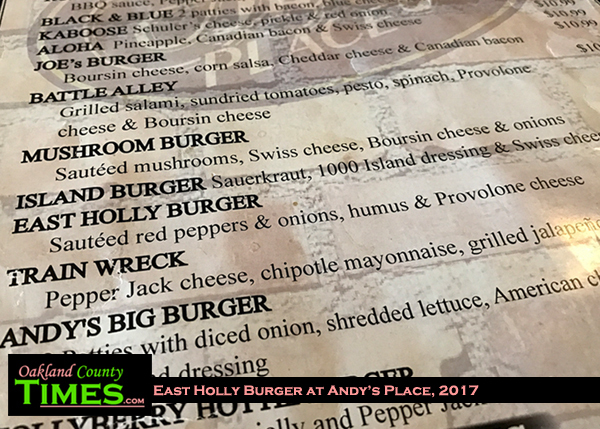 They are located at 208 S. Broad Street in Downtown Holly. Check them out online at http://andysplace.wixsite.com/andy. For more Reporter Food Columns, go to http://oaklandcounty115.com/category/food-blogs/.